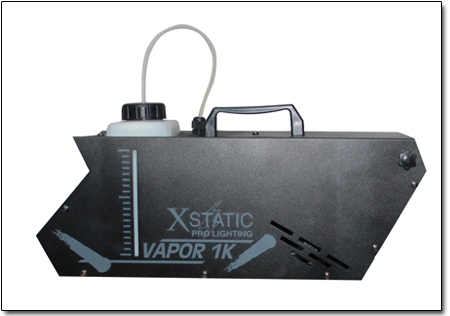 The Vapor 1K Hazer is a professional haze machine that will enhance any lighting effect and add that special touch to your Venue. 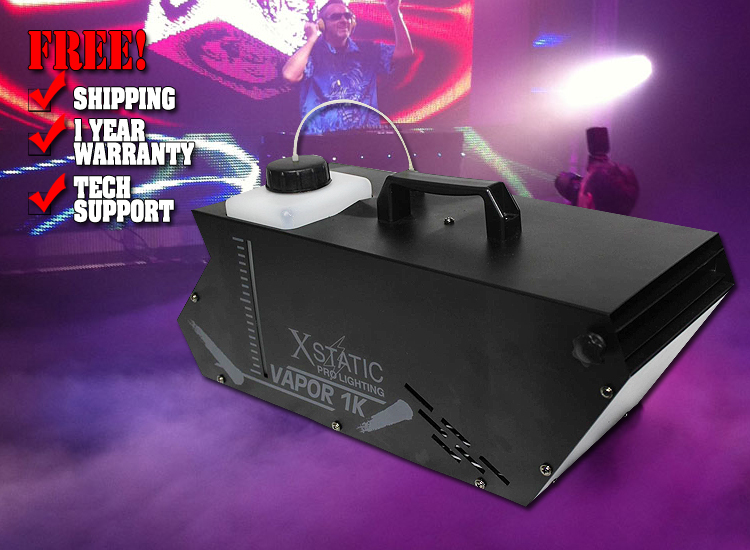 Whether it is a Wedding, concert, School play, or night club, the Vapor 1k hazer delivers at the highest level at all times without a problem. With only a 90 second heat up time, you will be up and running with a beautiful haze effect in no time. This unit also has on board digital display control to set haze volume. 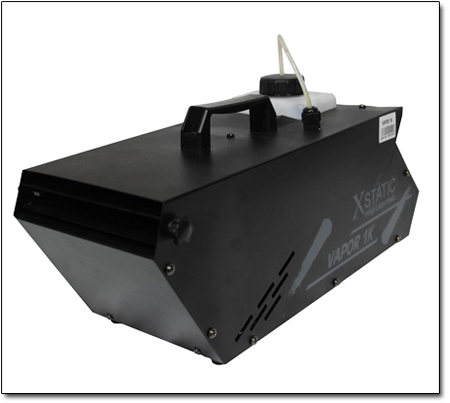 This hazer can be controlled via DMX512 controller giving you the total control you need.